Photo Created by Amanda Sovago-Royal. All Copyrights Apply. Nothing speaks to ultimate masculinity better than a man adorned in strong, crisp, and enticingly subtle scents from head to toe and The Gentle Body Wash by luxury brand, Gentlemen’s Tonic, is the only way to go when it comes to men, skincare, sophistication, and scent. 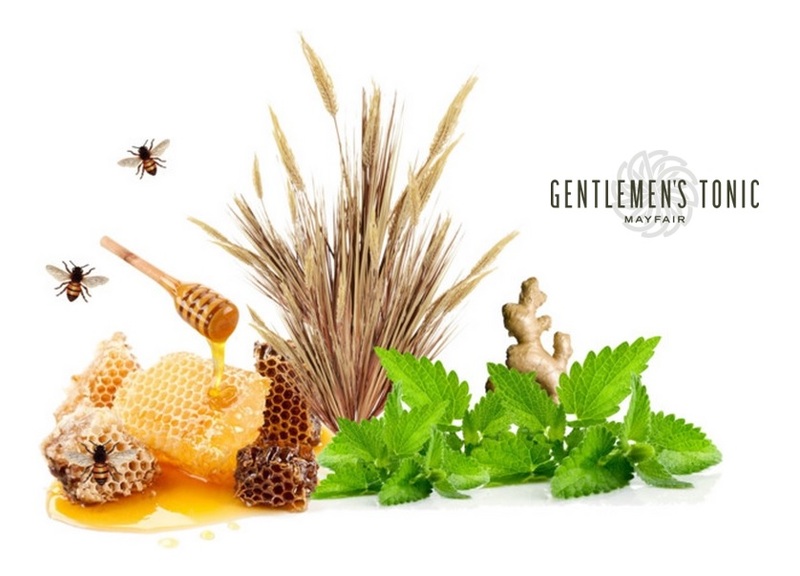 The Gentlemen’s Tonic establishment was founded in the heart of Mayfair, London to afford modern men the experience of a traditional barbershop of the highest level for dedicated care and attention to clients. Their predilection for understated confidence and gentlemen’s philosophy encapsulating lifestyle and quality reflects in its grooming services offered at its many upscale locations in London, Hong Kong, Abu Dhabi, New Delhi, and Dubai. Both Gentlemen’s Tonic services and products have been carefully selected, personally tested, and designed for quality to promote a sense of well-being and vitality. I was so excited for my husband to try The Gentle Body Wash for this review. For years he’s been a loyal consumer of Old Spice, using every scented product available from their body wash, to deodorant, even down to their hair pomade, but he’s been on the search for quite some time now to “up his game”. After trying Gentlemen’s Tonic Gentle Body Wash once he immediately became hooked with absolutely no plans of ever reverting back. As he describe his experience to me, “Once you’ve become accustomed to gold why would you ever accept anything less in the future?”Without looking at any of the cleanser’s ingredients Sam was immediately able to identify the Menthol within, designed to freshen and deodorize the skin. He described the scent as a clean earthly wooden smell, strong and masculine, without being aggressively heavy or musky. He greatly appreciates products that speaks (or in this case smells) volumes without having to say very much, and in terms of this product’s appeal, charm, and superiority it does not disappoint. Now as a frequent user of the body was Sam not only smells the most handsomely debonair gentleman in the room, his skin feels of night and day compared to prior use. Based on the incredible results in the restoration of his skin’s natural moisture balance (due to the Vegetable Glycerine, honey and wheat extracts added to soften and condition his skin) he said he would certainly recommend all men try this body wash if not for the fragrance itself. One will find that the Gentle Body Wash is not only suitable for all skin types, the Bergamot Essential Oil within will renew, uplift, and relieve the days tension one wash at a time. 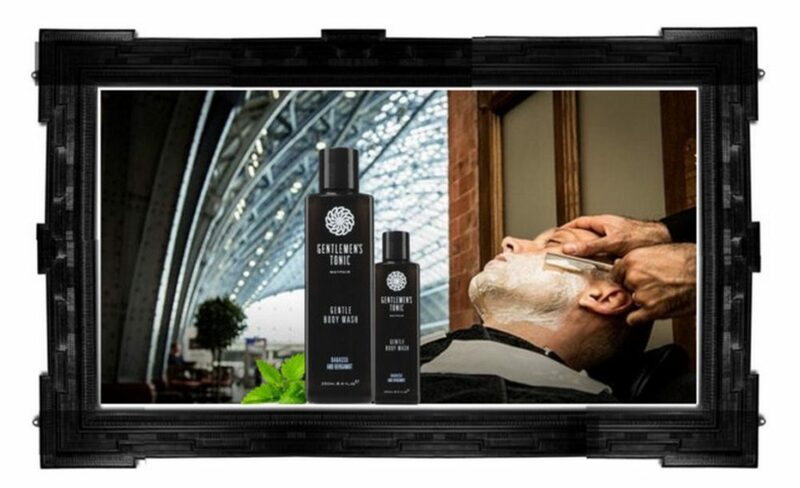 To view Gentlemen’s Tonic entire line of products, place an order, access lifestyle & grooming tips, and schedule grooming services at one of Gentlemen’s Tonic swanky establishments visit Gentlemen’s Tonic online and stay connected through YouTube, Twitter, Facebook, Instagram, Pinterest, and Google+.